In The Dead Run, outlaw with a conscience Jess Galvan made a devil's bargain with El Cucuy, a fearsome, five-hundred-year-old Aztec priest and major crime kingpin determined to bring about hell on earth. Now, months later, Galvan is trapped in his own personal hell, his mind infested with the soul of this ancient monster. No longer able to trust his own judgment, he is estranged from his daughter, Sherry-and from his own body. His every moment is a battle to keep the evil priest at bay. But there is a silver lining-Cucuy's presence has endowed Galvan with superhuman strength and endurance. Meanwhile, separated from Galvan and shell-shocked by her confrontation with Cucuy, Sherry is living with Sheriff Bob Nichols and his now girlfriend, psychologist Ruth Cantwell. The only bright spot in her life is her dashing new-to-town boyfriend. And in the bowels of Ojos Negros prison, a territory once controlled by the ancient priest, the drug cartels are at war with one another and on the hunt for Galvan-who must find a way to exorcise his inner demon in time to save the world from annihilation. In this chilling sequel to The Dead Run, #1 New York Times bestselling author Adam Mansbach mixes horror, the supernatural, and gritty suspense to create a high-concept adventure filled with nasty bad guys, fearsome magic, and an unlikely hero who is caught between worlds but determined to save this one. Rarely has a writer demonstrated he s having as much fun as Mansbach clearly is with this demented series combining contemporary crime action, Mexican mythology, irreverent comedy, and straight-up horror. --Kirkus Reviews"
An adrenaline-pumping bang teeming with vivid, violent imagery. Imagine an Indiana Jones-style story, starring the Hulk and directed by Robert Rodriquez; surely satisfying for readers craving a bloody supernatural jolt. 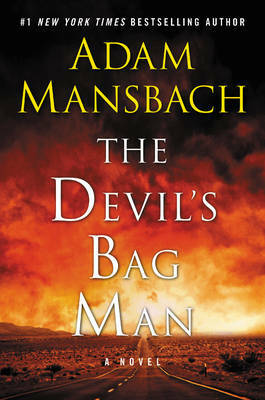 --Booklist"
Mansbach believably builds a scenario for the destruction of the world, showing the best and worst of humankind brought to their knees by the power of gods, and leaving the rest of us to tremble. --Publishers Weekly"
Strap yourself in for this over-the-top ride along the lawless Mexican-American border. --Shelf Awareness, Starred Review"